Recently BikePortland.org wrote a blog post called 4 things U.S. college towns could teach planners about biking. The post explains how biking is more popular in college towns like Davis, CA, Eugene, OR, and Boulder, CO because they are designed for it. And when you have a well designed city that encourages biking and walking, you have a safer and more popular place to live. But Charleston was definitely not one of those college towns designed for biking. While the city has added some bike lanes to accommodate cycling, the roads are still not safe and the design does not make sense at all. Spend five minutes at the corner of St. Phillip Street and Calhoun Street and you’ll witness one of the most dangerous areas where there is no infrastructure yet tons of people (mostly college students) are walking, biking and skateboarding in every direction. The College of Charleston is the biggest, most buzzing area downtown. So why not make that area the epicenter and expand everything outward from there? The intersection at Calhoun King Streets could be re-designed into a barnyard intersection where everyone can cross safely. Just make it easier for people to get around the city in general! If the city focused on fixing the design to make it more bike-friendly, it would become more popular. But the population on the peninsula has declined by almost 30% in the last 30 years and most people have moved out to West Ashley and James Island. That could be because the city was focused on moving traffic in and out of the city faster by car, and created a maze of one way streets to do so. But there is hope! The Post and Courier wrote early in November that in early 2014 the city will finally start working on turning Spring and Cannon back into two way streets! By slowing cars down on two way streets, the quality of life will improve for downtown residents – pedestrians and bikers alike! 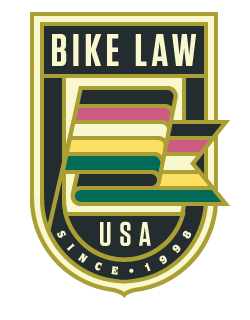 This article, Charleston Bicycle Accident Lawyer: Charleston wasn’t designed for bike-loving college kids, was originally published on Bike Lawon May 8, 2014.